Multi-talented, ARIA Award winning Sydney wunderkind Montaigne, has premiered her striking new video for the emotional single 'For Your Love,' out now through Wonderlick and Sony Music Entertainment Australia. 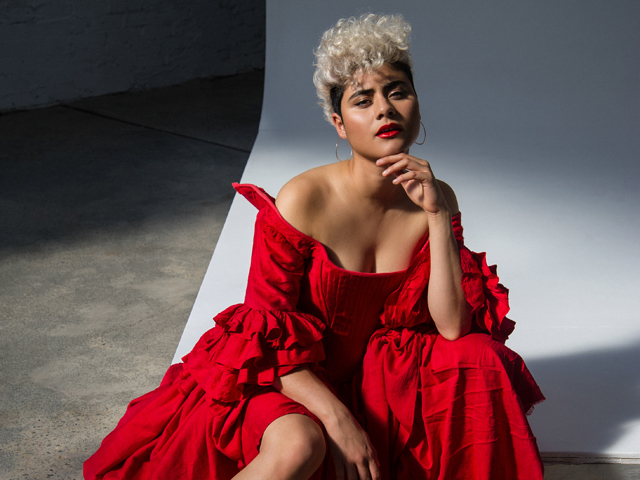 The visually arresting video was shot in Melbourne and directed by Prad Sen and is centred around an intense, powerful and intimate performance from Montaigne. 'For Your Love' is both brutally personal and a bold musical leap, culminating in a fascinating and intimate single with a dark underbelly. 'For Your Love' was created by Montaigne with international songwriters Mozella (Miley Cyrus' 'Wrecking Ball') and Kyle Shearer (Dua Lipa's 'Scared to Be Lonely'). Musically it is new terrain for Montaigne – twisted pop that glides effortlessly through moods and genres but with her distinctive voice at the fore. To celebrate the single release, Montaigne has also announced a run of national tour dates for April 2019, starting with Sydney's Factory Theatre on April 11 and finishing up on the Gold Coast on April 28. This tour will mark Montaigne's first live shows since the national Glorious Heights headline tour last year, which saw her perform to sold-out rooms across the country.